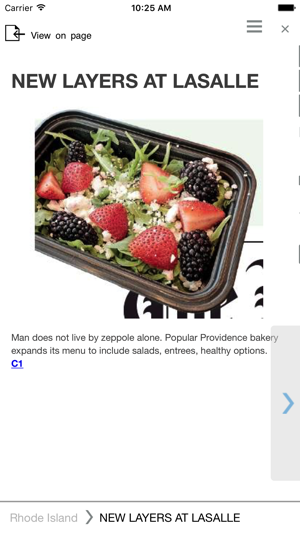 Get complete news coverage of Rhode Island with The Providence Journal’s eEdition for iPad. 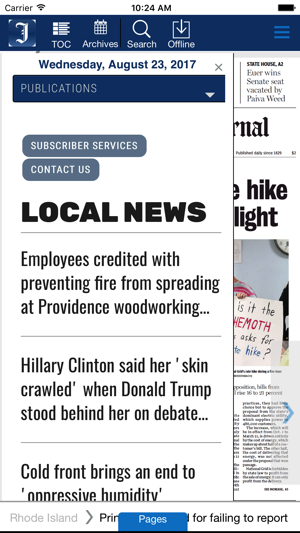 Our eEdition for iPad is an exact digital replica of The Providence Journal newspaper and combines the experience of reading the printed paper with the convenience, portability and interactivity of the iPad. 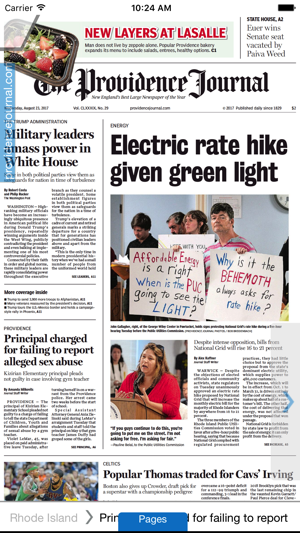 The eEdition for iPad is part of ALL ACCESS Home Delivery and digital-only subscriptions. 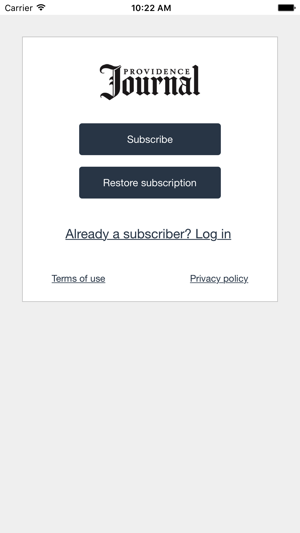 Current subscribers can sign in with their subscriber account or visit our web site to set up a sign in name and password. iTunes-only subscriptions can also be purchased in the application and are valid only for the eEdition for iPad app. I agree with the reviewer that said the upgrade has some issues. But I don’t agree that everything is horrible and “somebody should be fired.” Nonetheless, small like when you tap to go to the next page to follow a story, it SHOULD take you right the story, and not just anywhere on the new page (like the other reviewer said, AND like it used to do). This upgrade made some changes - and change is always hard - that I don’t necessarily like, but I’m sure others do. Nonetheless, it broke a lot of little things, like the one stated above, that really impact the quality and seamlessness of the user’s experience. I have been wanting to write a review since the upgrade. 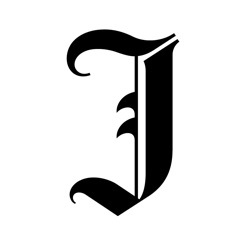 I read the Projo eEdition every morning, my only regret was upgrading the app. Upgrades usually fix problems and make things better. Someone should be fired for this. I don't even know where to begin to criticize, there are so many things wrong with it. From the movement around the pages, double tapping, page jumping, the list would just go on and on. When you tap to continue a story on another page, it would be nice to land on the story and not have to go find it. Unless we want to go and buy your paper version, I guess we're stuck with it. I'm a Journal advertiser and have been for 30 years, please use some of my ad money to hire someone that knows how to build a newspaper app! Bought a digital subscription for my 80yr old dad last year. He loved the app and the ease of reading and downloading for offline reading. 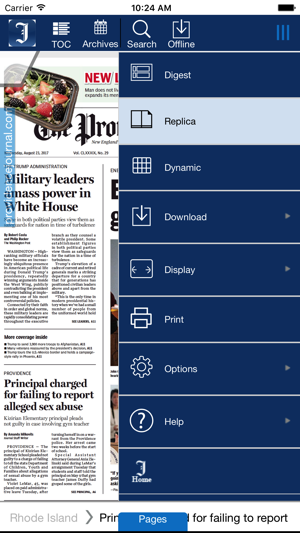 Now, we can't figure out how to get the latest issue (where it would previously appear automatically) and downloading is now 3 steps vs 1 with hard to read drop down menus. Technology is supposed to make life easier. This new version fails in that regard.